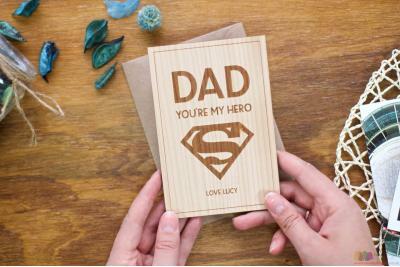 Personalised Father’s Day Cards – finely crafted wooden cards, just for dad! 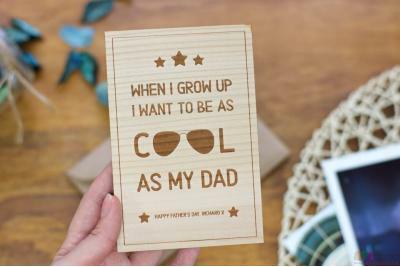 You’ve always (secretly) been Dad’s favourite child, so why not out-do your siblings with one of our fab personalised Father’s Day cards! First time dad? 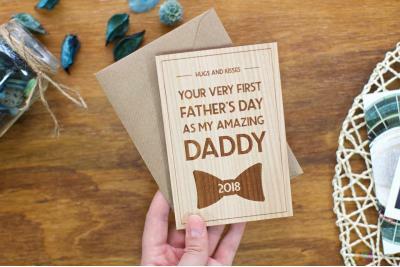 We’ve got a card for him! Cool dad? Of course! Embarrassing dad? Absolutely! 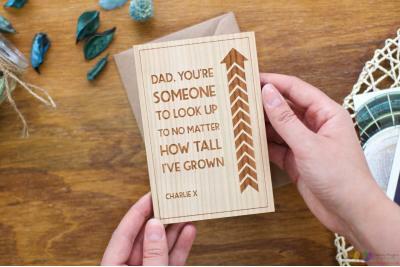 Why choose a personalised Father’s Day Card? 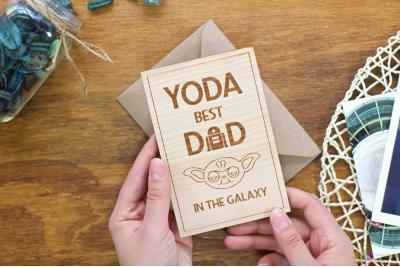 100% unique to your dad! Personalising your Twenty Fingers card is super simple! 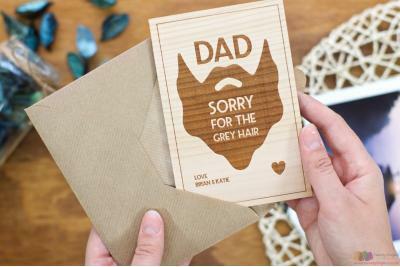 We like to think our personalised cards reflect your humour, so there’s plenty to choose from, and personalising them is easy! FREE UK Delivery and Returns – cooler than a dad at a disco! 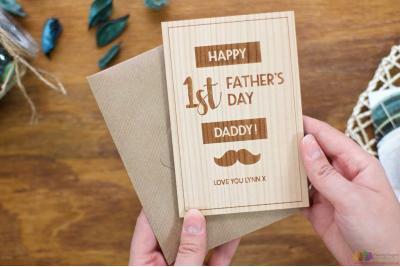 Once we’ve got your order, our fantastic people get straight to work helping you make your dad smile this Father’s Day, and bish bash bish, around 5 days later (so make sure to order in good time! ), one of our brilliant cards will land on your doormat. 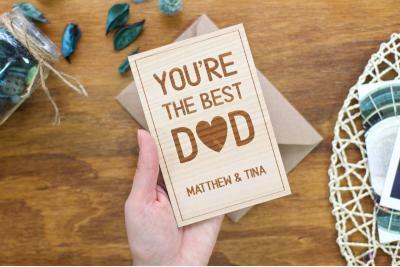 Just imagine dad’s face when he sees how thoughtful his offspring is! 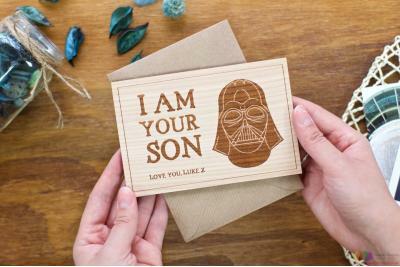 But don’t just take our word for it (we’re a bit biased), take a look at some of our awesome Father’s Day cards and see for yourself! 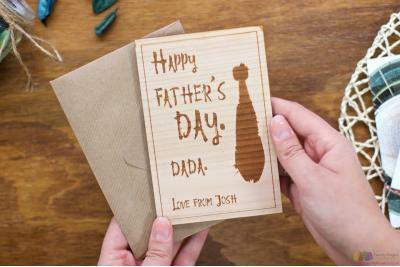 Order now, and let us prove you’re the best offspring dad could have!